HomeHealthPHYTIC ACID: IS IT BAD FOR YOU? 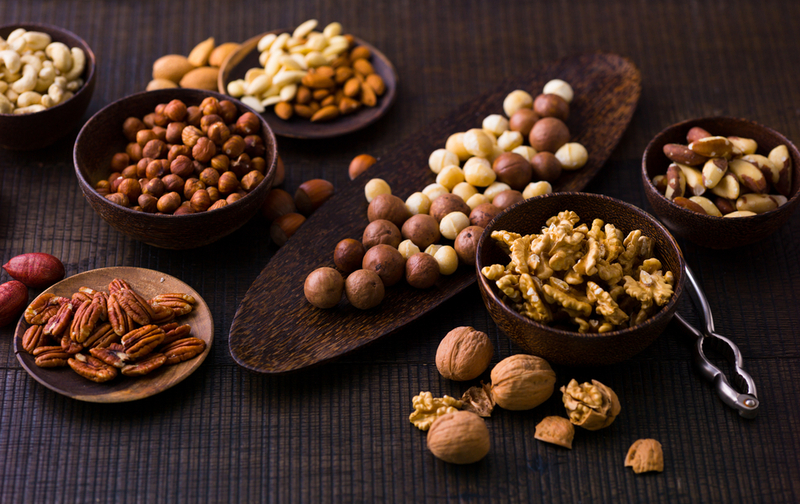 PHYTIC ACID: IS IT BAD FOR YOU? Phytic acid, also known as inositol hexaphosphate, or IP6, is found in legumes, nuts, seed, and grains. Some believe that is is an “anti-nutrient” because it binds to minerals such as zinc, iron, magnesium, and blocks your digestive tract from absorbing them. But, is this acid really bad? Let’s get to the truth about this common acid. Mentioned before, it’s found in many different foods. Phytic acid is the main storage for phosphorus and when it comes into contact with various metals that are vital for nutrition, it binds to them, and they are not absorbed into your system. When this occurs, the phytic acid will turn to phytate and you may rid your system of the metals through a bowel movement rather than keeping it. Many experts caution against foods that contain high levels of phytic acid, citing it may leave your bones weak and your gut unpleasantly upset, but is this all there is to this story? IS PHYTIC ACID BENEFICIAL OR NOT? 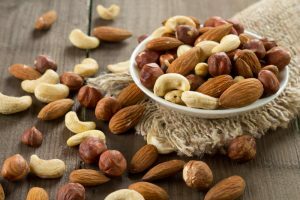 There are studies that show those who have diets with high-levels of phytic acids are more susceptible to zinc and iron deficiencies, but there isn’t a lot of evidence that shows consuming nuts, seed, and beans, will lead to mineral deficiencies in those who are healthy in all other respects. A lack of minerals can have unpleasant side effects, but, if available, supplements can restore many of those deficiencies. Benefits of phytic acid include its ability to bind to unhealthy metals such as cadmium and lead, thereby assisting you to rid your body of these harmful metals. If you are a smoker, this is highly beneficial as cigarettes have a variety of toxic heavy metals. In addition, phytic acid is an antioxidant. Some research found that it helps protect against cardiovascular disease, cancer, and kidneys stones due to its ability to bind to calcium and lower urinary calcium levels. This may be linked to whole grains ability to lower the likelihood of colon cancer. Phytic acid isn’t particularly healthy or unhealthy but provides a natural presence in the bodies of humans. Meant for plants, it does help humans rid their bodies of harmful metals. Everything that is consumed in life has the potential to do harm and good. Too much water can cause death in extreme cases. HOW MUCH PHYTIC ACID IS RECOMMENDED? According to Kashey, most people don’t think much of phytic acid. It’s neither a bad or good aspect of their diets. With a balanced diet complete with food variety and preparation, there is an even balance of metals being absorbed and rejected in the body. If the rejection of minerals is worrisome, then boiling, soaking, fermenting, or cooking the nut, legume, etc. can significantly reduce the phytic acid present. Most people soak and/or boil their beans so they get more minerals when eating these foods. In addition, research had discovered that Vitamin C completely prevents phytates from blocking the absorption of minerals, which will allow all minerals to be absorbed by your body. A study found that 30 milligrams of Vitamin C, less than half a cup of broccoli or strawberries, will eliminate any possible absorption issues. To maximize mineral absorption, eating fruits and vegetables with your meal is an excellent way to maximize your mineral intake. 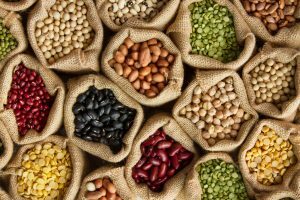 HOW MUCH PHYTIC ACID IS IN MOST FOODS? The numbers vary, but here they are for common foods. HOW TO REDUCE PHYTIC ACID? As phytic acid is present in many highly nutritious foods (like almonds) avoiding it is not a good idea. In addition, for many developing nations, people rely on legumes and grains because food is scarce. These are staples in their diets. To lower the phytic acid in your food, there are several ways you can prepare your meals. Soak: legumes and cereals are commonly soaked in water overnight. This reduces their phytic acid and makes them cook faster. Sprout: Germination, or sprouting grains, seeds, and legumes lowers phytic acid. Ferment: Organic acids that are produced during fermentation, combat phytate production. Lactic acid is the most sought-after acid and can be found in sourdough bread, for instance. When you combine these methods it can lower phytate substantially. WHAT WOULD MAKE PHYTIC ACID A BIG CONCERN? If you are suffering from iron deficiency, then large amounts of phytic acid can be of concern. Also, if you are a vegetarian, and especially a vegan, then mineral deficiency may be a higher likelihood for you. For meat-eaters, heme-iron, which comes from animal origins, is effectively absorbed even in the presence of phytic acid and so is zinc. Plants contain non-heme iron which is quite affected by phytic acid. Diversifying your diet will combat this issue. In conclusion, phytic acid can have some drawbacks and positives. In developed nations, it causes little concern except when someone is a vegetarian or vegan. This can be remedied by a more diverse diet. In developing nations, phytic acid is more likely to cause mineral deficiencies that may be harder to fight because of the limited foods. If supplements are available, those should be taken, so the necessary minerals can be absorbed. Also, if available, meat can help combat the lack of minerals as it contains heme-iron.